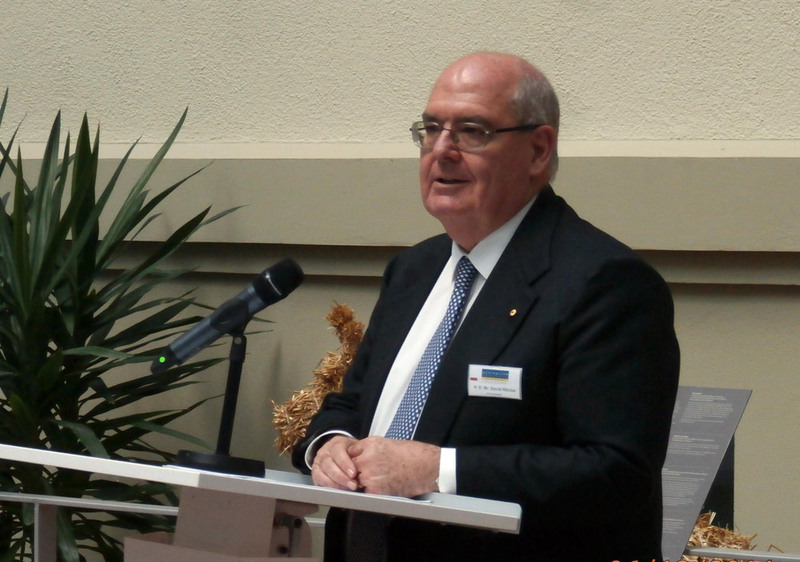 ABIE (Germany) hosted this year’s Ambassador’s Dinner at the Australian Embassy in Berlin. More than 90 guests representing the political and the business community listened to speeches by H.E. Ambassador David Ritchie AO, Senior Trade & Investment Commissioner and Consul General David Campbell, the CEO of Scout24 Group, Greg Ellis, and ABIE (Germany) chair of the board Sabine Pittrof. The large number of participants made this year’s Ambassador’s dinner one of the biggest events organized by ABIE (Germany) so far. While the presentations all shared a common focus on Australia’s G20 presidency this year and the commercial aspects to be discussed on the B20 level (the Business 20 (B20) brings together business leaders from across G20 member countries), the speakers put different emphasis on the political implications and requirements and commercial expectations such as sustaining a necessary growth rate to support future economical stability. The reception in the early evening followed by a three-course set menu enabled guests to meet, be introduced to each other and to network. 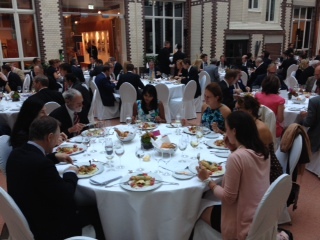 The table talks were very inspiring and were followed by further discussions during meetings beyond this dinner. The Atrium of the Australian Embassy Berlin was a beautiful backdrop for this event. Comments by participants were: “It was an outstanding evening” and “Great networking event”. The support of the Australian Embassy Berlin and its staff, speakers, guests and sponsors Sonic Healthcare, TELSTRA Global, Scout24 Group and Austrade made this event a successful forum for sharing information on current commercial issues and networking.